Many consider the Fifties to be a magic era in America, and in one place in our country, Branson, Missouri, at the spectacular Starlite Theater, the innovative producer, Mike Meece, is presenting a visual opportunity for anyone in the audience to recapture the magic of those traditional, innocent years that become more and more precious as time goes by. This is an experience you don't want to miss; you cannot afford not to expose your children to the wholesomeness of our world as it was and as it can be, in our memories and at the Starlite. This is an opportunity to literally project yourselves back into the fifties, when the streets were friendly places with store owners greeting one another every morning. There was no such thing as color TV, cell phones, and hip hop. Humor was simple and clean but funny; families did things together and enjoyed it. Kids and adults strained to master the hula hoop and girls and boys were acceptably modest, and excited about Christmas and birthdays and pets and new babies. That world is not gone. You can visit it again, at the Starlite Theater. Lost in the Fifties is a breathtaking Broadway-like performance, put on by extremely talented cast members who are devoted to the spirit of the great decade that was the basic root system for most of us. The songs and dances are contagiously rhythmic, pulling up nostalgia you didn't know was inside your heart. It is an unforgettable experience for everybody and when you leave here, you will know you have given your family a memory to treasure all their lives, one they can talk about for years and hand down to future generations. The quality of life exemplified by this view of the fifties is something you can't get anywhere else. The actual show spans ten years of meaningful events that occurred during the fifties, events you don't want to forget. The portrayals will make you think you've returned to the past in a time machine all your own; Lost in the Fifties is phenomenal entertainment, a one-of-a-kind show suitable and loved by every family member, from youngster to grandparent. This musical performance includes over 70 hits by famous artists such as Johnny Ray, Nat King Cole, Buddy Holly, Frank Sinatra and, of course, Elvis. The show was voted "Best Show of the Year" for two years in a row, with good reason. After the last curtain, you can also have your pictures taken with digital reproductions of cast members right on actual stage sets for your memory books. There is also an actual old-fashioned Starlite Soda Fountain where the menu's choices will tug at your heartstrings with the great flavors of the fifties. After a sip of a real malted milkshake or some hand-dipped ice cream, your teenagers will have new respect for "the good old days!" And many people will feel as if they have revisited their own Senior Prom. Everyone leaves smiling and you can't find a better testimonial than that. 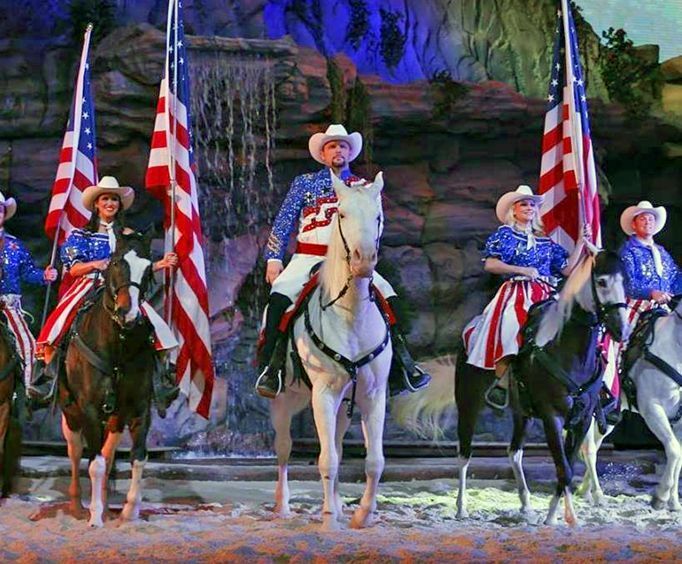 Make your plans to visit Branson soon. The Fifties have been gone too long but this is your chance to revisit those Happy Days! And what a perfect choice for a family Christmas vacation ' or any holiday. You will not only have a wonderful time but you will give your children an even stronger root system to help them grow strong through this, their modern world!